The BTS casting of Newbee.Boss’ first official game sparked outrage from the community. Treephob “Xyclopzz” Tiangtrong became the center of attention, detracting from a monumental occasion of witnessing the first official match featuring a gender-mixed lineup and the CEO of a professional organization competing on a high tier event. His comments were deemed sexist, misogynistic and disrespectful by the Dota 2 community, leaving fans in an uproar. Although he later toned down the remarks and tightened up on the professionalism of his cast, the damage was done and a question was brought to light: just how far have Dota 2 and esports come in regards to inclusion? My apologies toward the Newbee.B match casting. Treephob “Xyclopzz” Tiangtrong took to the microphone and delivered the first broadcast featuring a groundbreaking lineup. Many Dota 2 fans – who were celebrating how far esports had progressed with this gender-mixed lineup and the first woman to play in an official capacity for a professional event, tuned in only to be shocked and insulted by the BTS cast. The hype drastically took a turn for the worse during Newbee.Boss’ debut match in the DAC 2017 pre-qualifier. Referring to Bi “axx” Xia as “the girl” and following up with other sexist comments, the flavor given by Xyclopzz was deemed sour and caustic. What should have served as a shining example of how far esports and Dota 2 had grown towards inclusion and encouraging other future aspiring women competitors, the focus of the cast became just as noxious and disrespectful as the Twitch chat itself – widely known for being inappropriate and toxic. Due to Xyclopz’s portrayal and lack of respect for a woman competing, the casting sparked outrage from the community. The Thai caster under fire issued an apology to the community via reddit. Albeit, some dismissed his comments as “typical Xyclopz” casting and others felt the sincerity of the apology was sucked out of it through his statement. Contracting casting agency, Beyond The Summit, also issued an apology and further clarified their stance and resolution to the situation. The remaining matches were cast in a much more normalized and professional standard, smoothing over the abrasive start of the commentary. Newbee.Boss had since gone on to clinch the DAC 2017 Chinese qualifier spot to replace Braveheart. They then failed to advance through the group stage, assuming the fifth place spot with a 0-3-2 record and a total of 3 points. 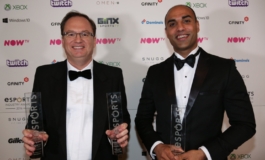 But the lingering question remains: how inclusive has esports really become? Finding women competing in Dota 2 continues to be like finding a needle in a haystack. Elusive, hidden – if not denied to exist – among the male dominated industry. What looked to be a rising trend and the start of something long overdue fizzled out all too quickly. 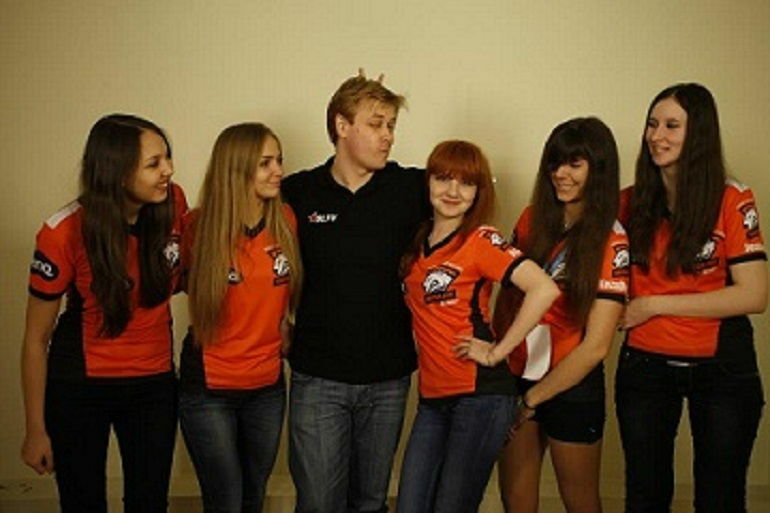 In September 2012, Virtus.Pro formed an all-women’s squad known as Virtus.Pro Ladies. Fans will recognize KozaDereza as Virtus.Pro’s PR manager, b2ru as an interviewer for Na’Vi and Mila as a caster and streamer still currently working in Dota 2. 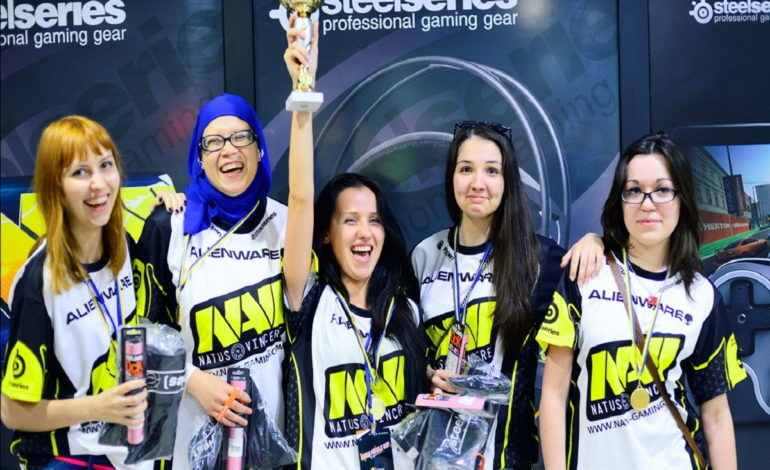 On June 11th, 2013, Na’Vi picked up an all-female team. They took first place in the CGAMES female Cup against VP.Ladies. There was even a Female Dota 2 LAN in Kiev, on July 9, 2013, in which Na’Vi Ladies seized the title. RoX.KIS and LGD Gaming were among the organizations to join in on signing female players, in 2013. A year later, the concept of female squads in Dota 2 seemed to disappear without a whimper or fuss. Dota 2 is not the first competitive game to attempt inclusion and witness a woman in a male lineup competing in a pro-circuit. 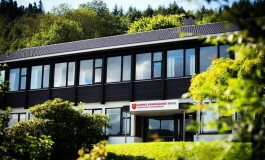 In August of 2015, Maria “Remilia” Creveling competed in the North American League of Legends Challenger Series as part of the Renegades League of Legends lineup. The mixed-gender squad ended up taking the championship title. Remilia says she’ll definitely stick around for “one more project” in League of Legends, but after that it’s unclear if she’ll try something new. Responding to comments on her Reddit thread, Remilia says she’ll discuss with her teammates and Riot whether it will be “financially viable” for her to remain in the LCS. Noticeably, there are many more professional women gamers in other esports divisions, such as CS:GO, Smash melee, Starcraft and even LOL – just to name a few. Most of these division have separate all-women lineups and competitions – the same as what was seen in 2013 in the Dota 2 scene. In fact, LGD recently announced an all-female LOL squad, in May 2016. In striking contrast to Dota 2, these events and teams are still active and deemed as part of the professional scene. The separation of men and women in tournaments and in teams is one that often stirs a deep pot of controversy and cynicism. On the flip-side, others embrace all-women tournaments or leagues as stepping stones and a foundation to build upon. Female only tournaments would alleviate several of these issues and eventually even up the odds. Competitive gaming requires dedication, opportunity, and experience. Players need reasonable goals to aspire to if they are even going to start trying. A high individual skill level is nothing if you don’t learn how to work with teammates in high pressure scenarios. Small tournaments that cater to female players would give women competitive experience and would be the first step for women to have a chance at player at the highest tier. Most importantly, this would actively recruit more female players as they see role models and opportunities. William “Blitz” Lee, an ex-professional Dota 2 player, coach, former caster and commentator, weighed in on the subject as well. Whichever side you find yourself on, the bottom line is still the same: there are little to no top level women playing Dota 2 professionally and inclusion of women in any capacity is non existent. More often than not, on any given day, one can find that more women are engaged behind the scenes, out of the constant spotlight and path of hurling insults and onslaught of abuse. Roles taking on stats, social media, content creating, editing, team management, public relations, COO, photography are filled with exceptional women. Fewer females go into casting, interviewing or playing competitively – realms where the already typical gender-based harassment becomes exacerbated due to the public exposure. Gender seems to become the focal point anytime a woman appears within the scene – as opposed to focusing on mechanics, skill, or talent. Due to such harsh public scrutiny and gender-focused insults, Remilia has heavily considered bowing out of the spotlight. The competition doesn’t mean much to me. I don’t care to be the best in the world. I love playing with a team and accomplishing stuff and being recognized for it. When I set out initially, I wanted to be the first girl in LCS. That was what motivated me. That dream I had I accomplished and yet it is being challenged in such a heartless way. Last year, Gamasutra conducted a study regarding sexual harassment in online video game and the impact it has on women in esports or gaming. Specifically, it points to the consequences and damage sexual harassment has on aspiring women. In our survey with female players (Fox & Tang, 2016), we found that sexual harassment have direct and indirect effects to withdrawal from gaming. As they experience more sexual harassment, they are more likely to withdraw from gaming (e.g., “If I’m being harassed, I quit in the middle of a game”), they ruminate more, and their perception of organizational responsiveness to harassment decreases (e.g., “To my knowledge, they [administrators, moderators, etc.] investigate harassment complaints no matter what type of harassment it is”). The rumination and organizational responsiveness also affect female players’ likelihood in withdrawal from gaming. 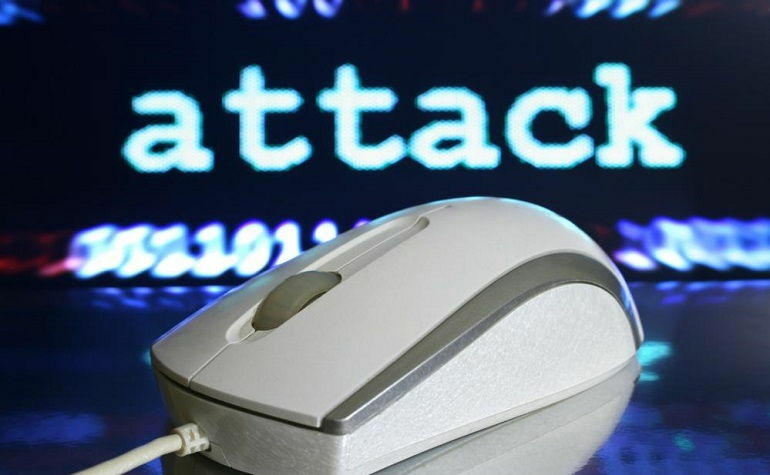 The relationship for general harassment only showed a direct relationship to withdrawal from gaming. We noted that female players pre-emptively avoided experiencing sexual harassment through gender masking, but are still affecting by being bystanders of others’ sexual harassment. According to Gamasutra’s study, witnessing such an affront has similar effects on the community and the industry as a whole. Returning to the case in point, for any woman tuning into Xyclopz’s broadcast, feelings of shame, discouragement and humiliation would most certainly be disheartening. Several years ago, during a StarLadder women’s tournament, casters seemed to engage in the same type of shameful commentary. Considering the demise of women competing in Dota 2 since then, one can only wonder if the lasting effect from the brutal treatment has had a lingering effect dramatic enough to have smothered and stamped women out of the scene – a fear many hold once again. In the last few years, several organizations and groups have been created, aiming to alleviate and address the various issues of women in esports and gaming. Places bringing together women from across the globe and striving to lend support, additional resources and solutions are becoming more and more robust and active. Desoladies – a supportive, female-focused organization designed to unite, promote, and advocate for women in the Dota 2 scene.